If it's structure your school needs during lunchtime or if you would like to increase the school's amount of extra-curricular activities. PlaySports offer a vast amount of sports to cater for your requirements. 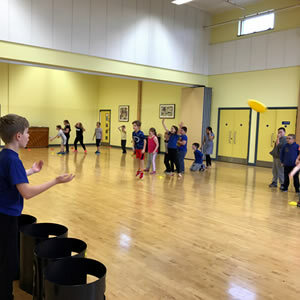 These sessions provide enormous benefits and help to promote your school in many ways; from increasing attendance levels to helping children maintain their focus throughout the school day, along with providing rewards for positive behaviour are just some of the ways we are supporting schools and having a productive effect on those we are working with. Working with communities to break barriers and increase sports participation. 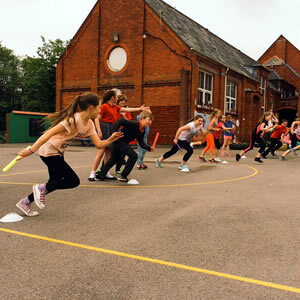 PlaySports liaise with a variety of organisations, businesses, National Governing Bodies and Local Authorities to increase the amount of people participating in sport. If you would like to discuss an opportunity or get involved in a current project then please get in touch. To ﬁnd out what we have running see our Facebook and Twitter pages or contact our oflice for more information and details. All of our projects and clubs are structured in a way to make sport accessible to people of all ages. whatever their level. We conduct our clubs in a safe and enjoyable environment in order to make them a welcome place for all participants.